Halloween: the one time a year it’s totally cool to dress up like Spiderman and devour a bag of Reese’s while carving a face into a bright orange gourd. Or as Cam puts it, his usual Friday night. Here at Inphantry, we’re celebrating by throwing on the Stranger Things Soundtrack and diving in to some of our favorite spooky VR experiences. Want to play along at home? Check out our list below of some of our favorites in horror VR. I’ll be honest, we love watching each other play RE: 7 more then we like playing it ourselves. Why? Because it’s hilarious to watch, but absolutely terrifying to play. 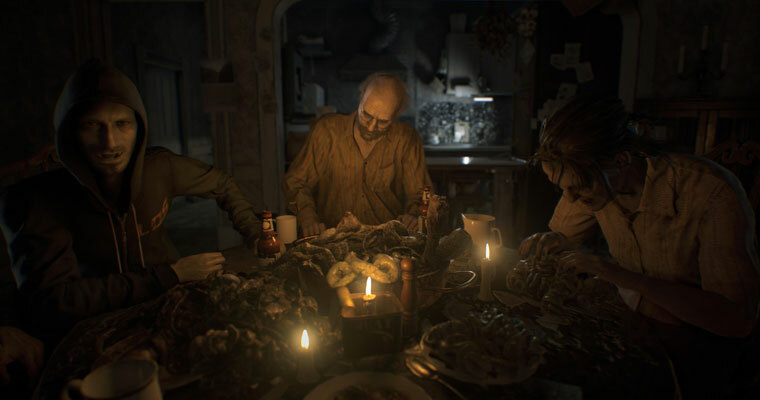 While Capcom shifted the series to action-oriented gameplay in RE: 5 & 6, fans were excited to see the latest entry diving back into its horror roots. With the edition of PSVR functionality, scavenging for ammo and hiding in closets has never been more gut-wrenching. If you haven’t played it yet, you can check out the first hour on the Playstation Store for free. Don’t say we didn’t warn you! Most gamers know that the majority of movie tie-ins are usually less than impressive, but Paranormal Activity: The Lost Soul stands out from the crowd. Part escape the room, part walking simulator, all parts horror, PA: The Lost Soul throws you into an empty suburban home with a flashlight and zero guidance. It’s up to you to explore the home and endure the horrors within. While the experience isn’t tied down to any entry in the Paranormal Activity series, it does a great job of filling out the lore and building a unique environment all of its own. We’ll admit, Arizona Sunshine isn’t necessarily a horror game, but it allows us to live out some of our zombie fantasies. (If that can even be a thing.) While the environments aren’t as dark and claustrophobic as Brookhaven Experiment, there isn’t anything that compares to the foreboding roar of a zombie hoard after you accidentally set off a car alarm in search of important supplies. Not to mention playing with a friend elevates the experience, especially when covering each other during reloads or when your lifespan is determined by how quickly your buddy can pull the pin on his last grenade. 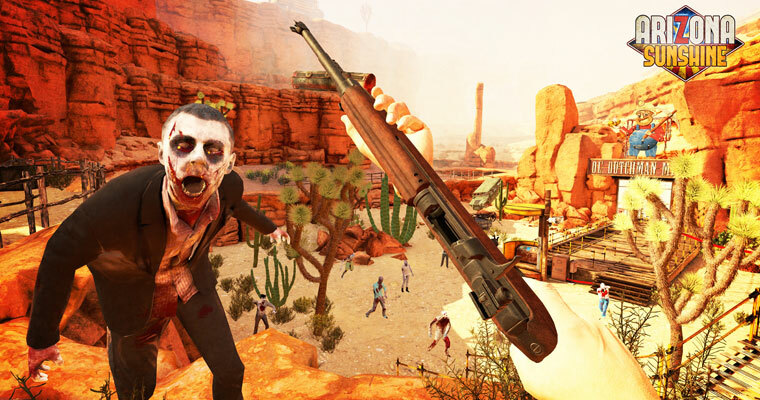 If you haven’t checked out Arizona Sunshine yet, grab it while it’s on sale now. 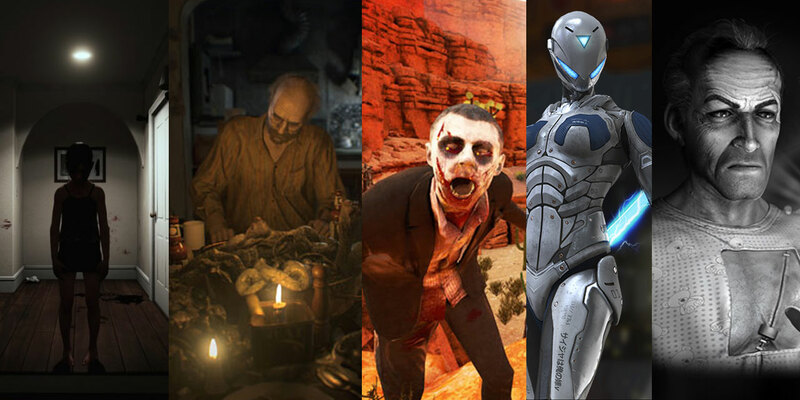 So far we’ve covered traditional horror and zombies, but there’s something especially scary about emotionless robots – that’s why we love Raw Data. As one of the first fleshed-out experiences for HTC Vive, Raw Data drops you in a darkly-lit, futuristic base to fight waves of formidable robots. While you have plenty of tools at your disposal to take out the robot hoard, there’s nothing like turning around only to have a set of bright green eyes right in your face. From developer Twisted Pixel, Wilson’s Heart takes you on a supernatural journey to discover why you’ve woken up in a hospital with a half mechanical, half magical heart. 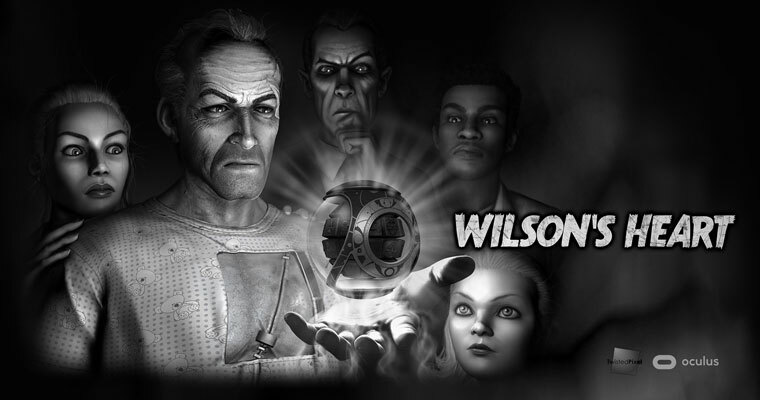 With a distinct art style inspired by old-school monster movies, a strong cast of characters, and interesting puzzles, Wilson’s Heart is a must have for any Oculus owner. While the actual scares are more along the lines of American Horror Story and Stranger Things rather than Saw, Wilson’s Heart definitely deserves a place on this list. Are there any games we missed or others we should check out? Let us know what you think on Twitter, and Happy Halloween!